When it comes to ‘the beginning’, many people ‘know’ many different things to be true which is a sure fire way of hinting that knowledge in this area might actually be a bit sketchy to say the least and that all we really have is a group of theories waiting to be disproved, even after millennia of discussion and warfare. The only theory that seems to remain constant is that ‘the beginning’ is worth debating and therefore is probably quite important to quite a lot of people. This theory holds true for landscape photography too and fortunately a lot less blood has been spilled to reach this conclusion, if you discount the unfortunate incident of the Canon Vs Nikon wars of the early 1970s of course. The main point is that it really does not matter, how sharp your lenses are or how big your sensor is; if you battery is flat or you are standing on the wrong side of the valley in the middle of the picture rather than looking at it then you are a lame duck. If you end up like this you might as well be using a 2 MP mobile phone camera. Luckily in the modern age there are a whole range of methods and tools that we can use to make sure that we are not the lame duck, but that we are the soaring eagle, our cans do overflow and we can leave a shoot knowing that we have witnessed a spectacular selection of magical moments of light dancing across our beautiful planet to create our final images. It is important to know your ISO from your elbow too but this article is all about preparation rather than execution. In this piece I will cover areas of preparation from kit selection, kit preparation and advanced preparation. Tripods, you could say, are at the base of every successful landscape photograph. As someone with landscape photography running through my veins, it is one of the questions that I am asked most often by those thinking of moving into the field. Did you use a tripod? You would need a tripod for that wouldn’t you? These are typical questions people ask me. The answer is of course, invariably yes. Yes, yes and yes again. To 99% of landscape photographers, forgetting your tripod at home would be like forgetting your own legs. You would not even dream of doing so. ‘Buy once, buy right’ is the moniker here or maybe ‘buy less often, buy right’, because tripods can take a fair amount of abuse but will not live forever. Most people will not need to spend £700 on a tripod and head. The £100 - £200 bracket will generally be fine and some pictures could be taken just as well with a £20 tripod. However, the additional spend will give you additional flexibility with legs able to move independently of each other. This will be essential if you want to take pretty much any picture involving water. You will also benefit from additional height range. Additional height is as useful as being able to get low down. Ansel Adams had his car converted to incorporate a platform for him and his tripod on the roof. Forgetting car conversions though, other benefits also include ease of use, reduced weight, increased freedom of movement with the removable centre column, portability, and strength. Long Exposure images like the one above will of course require a tripod. For this image my tripod and I had to be perched on rocky ledges with the sea rushing beneath us. If the tripod had been in the water, it would have moved so the ability for the legs to move independently was essential. The camera had to be hovering out and over the water so that I could get the angle I wanted to catch reflections and detail on the rock. To achieve this position an extendible centre column was essential. So now that you have your tripod in place you might as well pack your camera too. If you have been at this game for a little while, you probably have more kit than you can comfortably fit in one bag so the key here is to think in advance about the location you are going to and the types of pictures you want to capture. Most bags can carry 3-4 lenses comfortably and in all honesty, this should give you more than enough coverage for most day or weekend trips. Think about range; are you looking for macro work, wide angles or in field portraits? What can you sacrifice? The sharpness of a preferred prime lens for a more utilitarian zoom lens? The speed of your fastest lens for more length? What subjects are you going to shoot? Landscape with a potential wildlife bonus? Only you will know the style of image you like to make and only you will know the potential locations that you are heading to and the likely weather conditions at the time of your arrival. You do not need to carry all your gear to cover all eventualities. Weigh up your options and play the percentage game. Focusing on a few kinds of pictures that you think you might get will also increase your chance of success on your trip. Of course, one fun alternative can also be to just pack one lens and set yourself the challenge to learn to see creatively with that lens. Think about the distance you will be travelling and how you will be travelling. Extreme mountain climbers will generally need lighter more versatile kit than those driving down to their local beach to watch the sunset. Of course, the key that always saves precious seconds during fleeting light is having the kit bag ready in advance. If you are not familiar enough already with your kit, then creating a hard-copy check-list can be useful. This has to start the night before when looking at dawn shoots, the last thing you need is to get out of bed and then have the mad half-asleep stumble around searching for your infernal lens cloth, memory card or spare battery. Clean your filters the night before, charge all batteries, check all memory card capacities, pack the rain proof bags, double check the spirit level, check your sensor, pack all your lenses, make sure you have the tripod quick release plate in its usual place. Having a common place for all your kit can save you so much heartache in the field. I have certainly been there cursing for certain bits of kit in the dim light of dawn, usually lens caps, which like to disappear unless they are always put in the same pocket. Clear sky so that it would not distract from the form of the architecture and other key elements. The sun to be coming from behind me so that the shadows would be leading in to the picture. The sun to be low in the sky so that the shadows would be of a decent length. The tide to be at exactly the right height. The tide to be going in the right direction (out) so that the posts would be wet. So now we are ready to go, are we not? Well, kind of, but where are we going? This is the other key element of planning. I’ll focus on digital methods in this article but I am sure that you can use your own imagination to translate these into maps and books. When you have a rough idea of where you will be, there are a plethora of tools on the web to help you with location scouting. Flickr and other web places can be an excellent source. Join them and you will find many people willing to share tips. Try searching for counties or locations for inspirational images. 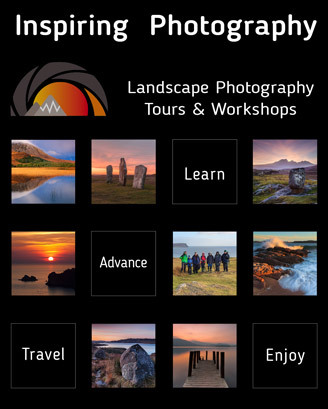 Other than that, there are many landscape photographer sites and tutorials from around the world all pointing to possible locations. Google earth is also great because you can bookmark locations and make notes against each one. If your interest is in cityscapes or architecture, then there are National Trust and city tourist guide websites too. When you have a set of locations then you would be well advised to think of what types of pictures you expect to capture at these locations. High tide, low tide, receding tide, spring tide, misty morning, clear sky, low sun, high sun, setting sun, backlit scene, the scenario can go on and on. I must admit to only being able to pre-visualise to a certain extent and I always like an element of spontaneity and surprise on a shoot. However, free software programs like ‘The Photographers Ephemeris’ are absolutely great. This allows you to browse maps and plan for which angle the sun will be coming from at any given time or day. On a recent visit to Cornwall, I was scoping out locations and through using the map and the angle of the sun, I was able to see that Welcome Mouth Bay had long spines of rock stretching out to the sea and that the sun would be setting nearly directly out over them. I am not pretending that I discovered this location; Cornwall and Devon are extremely popular with photographers and this spot had been on my wish list for some time. The benefit of the software is that it allowed me to know that, even though the coast twists and turns, which spot to visit on which day. Of course with some pictures you need to know which season to turn up and get out of bed at the appropriate hour and hope that the local wildlife do too. After a while you will get used to the ‘planning’ idea and pretty soon you will be checking out star charts, tide timetables, army shooting range opening times, secret paths to far flung locations, weather forecasts and of course, the nearest real ale pub locations where you can buy pork scratchings too. You might even venture in to the world of remote planning. There are now a huge range of iphone and Android Apps that help too. Google’s star map on Android phones is great and allows those interested in astral photography to know what they are looking at in any given direction. I also use a range of free iphone apps to help me plan when not using a laptop. So kudos to the developers for setting us free and opening up new photographic possibilities, all with a few taps of our fingers. Adrian is a photographer, student, follower of light and dark and a sunset junkie. Any time there is a spare moment he can generally be found knee deep in foaming icy surf of lying down covered in mud on riverbanks hoping for half a chance of a reflected moment of sunlight. I really appreciate the detail in this article. I strive to keep a packed gear bag ready and accessible at all times but I’m not good yet at putting my hands on it while a photo op is unfolding in front of me — I need to work on this! Mine has most of what you stated, but also: a remote control, lip balm, sunscreen, bug spray, a few dollars (you never know when you’ll hit a fee-based park and you’ve only got plastic in your wallet). On instructables.com I read about (and created) an emergency kit from an old Altoids tin that has a memory card, a stubby pencil, a clean lens cloth, a few dollars and a couple post-it notes. You just never know!! This is written by a man after my own heart. Preparation and awareness is essential for continuous fine photography. It is as Adams said part of the making of a photograph and not just the taking. 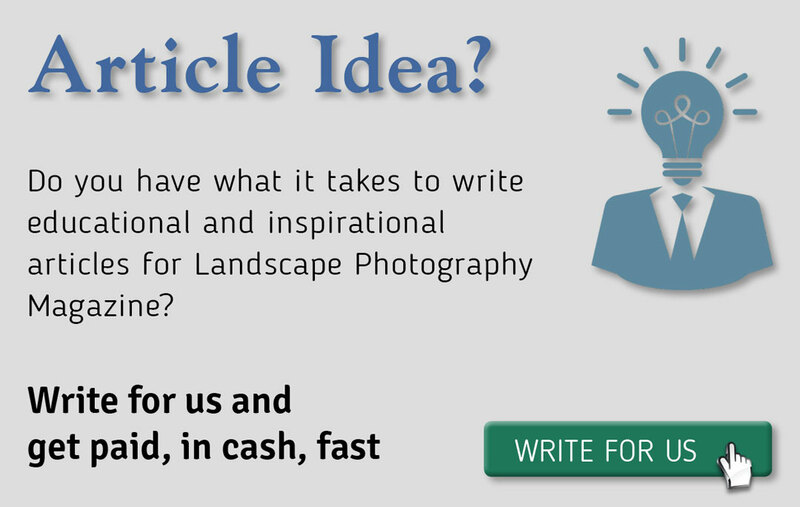 It applies to landscape as the article illustrates but also to all other areas of photography. The check list as it were was interesting but for me apart from the addition of a torch, one thing was missing and that was an exposure meter, hopefully one that can read incident light. While appreciating the many modern digital applications I sometimes wonder how I managed with a magnetic compass, an analogue watch, a selection of OS maps and the occasional use of tide tables. Smile.